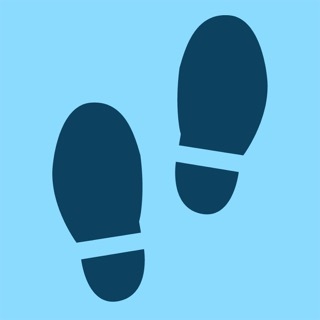 NoiseLevel is a fun way to measure the sounds in your surroundings. Measure the sound level of the music you listen to, your kids playing or your office environment. 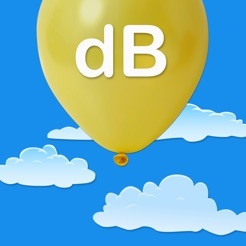 NoiseLevel uses your iPhone's built-in microphone to first pick up sound and then displays it in dB (= decibels) on a status bar at the bottom of NoiseLevel's main screen. 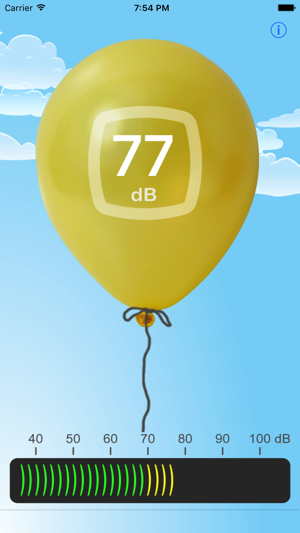 Sounds are also displayed visually as a balloon whose size and color change according to the level of the sound measured. 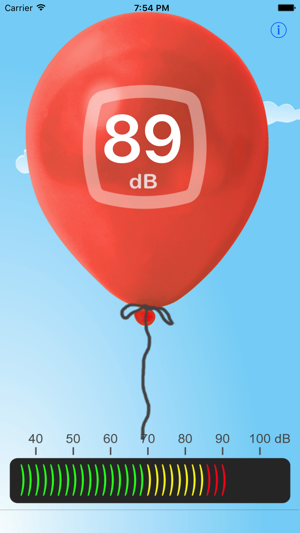 See the balloon burst at high sound levels - you can also make it burst by creating a sharp, high sound, for an example by clapping your hands. Have fun experimenting! For best results, turn the iPhone so the microphone is pointing directly at the sound source. The screen flips accordingly. 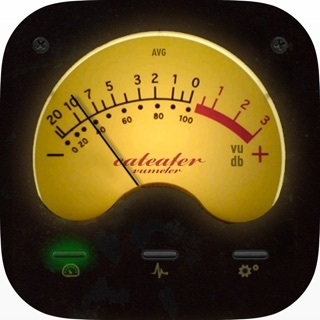 NoiseLevel is fairly accurate but it should NOT be considered a professional sound level meter. 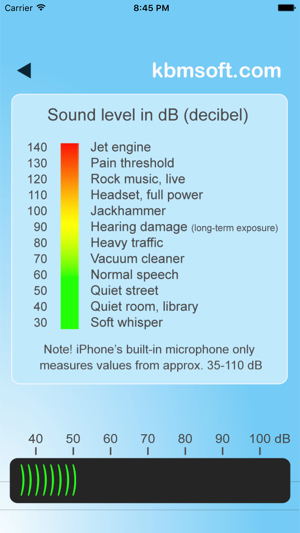 The built-in microphone of the iPhone can only measure values between 35 to 110 dB and values may vary slightly between iPhones. Like most my kids love to play video games. The games are always loud, so my wife any I thought we'd be smart and get them some headphones to use playing games. So now with the headphones, we don't have to listen to the loud games. But the problem with the headphones is that they can't hear themselves talk, so they talk WAY TOO LOUD. 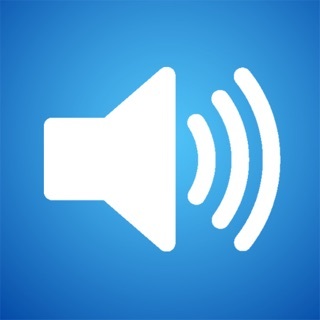 NoiseLevel gives me a perfect visual indicator to place in front of them while they are playing so they know just how loud they are really talking, and they manage to keep their voices at a reasonable level. Now my only problem is that after 30 seconds or so, the iPhone goes to sleep. So please provide an option to keep it from doing so. 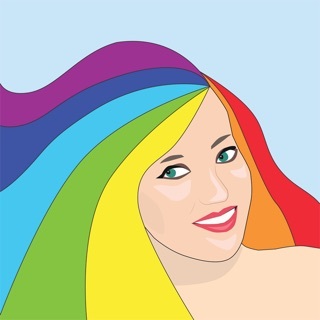 I use this app in my classroom and it works perfectly for me. It gives the kids great feedback on their talking level an helps me assess the sound level in a more objective way. Money well spent. Simple app that worked for me! Not a fancy app, but was just what was needed to teach my small group of students about regulating their noise level. I have recommended to several parents and colleagues!